Fees associated with filing industrial design application in Norway as well as other design fees are available in the fee calculator. The deadline for filing a design application in Norway claiming priority is six months from the priority date. The restoration of this term is not possible. Several designs may be filed in one multiple design application in Norway in case they belong to the same class of Locarno classification. - image(s) illustrating the design. The representation of the applicant together with the representative’s name and postal address must be cited either in the application form, which must be signed by the applicant, or in a separate document. If the relationship of representation is based on a general power of attorney, each application in which the general power of attorney is invoked must contain a reference to it. In general, no priority document should be submitted. The Norwegian Patent Office may request the priority document later, and the time limit for submission thereof is three months from the receipt of the corresponding notification. 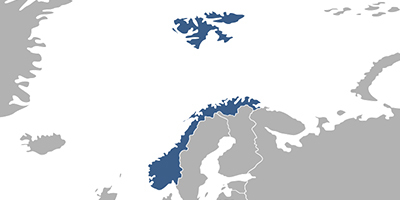 The design application in Norway undergoes only a formal examination. A substantive examination can be requested and is subject to the payment of a fee. Such request must be made at filing. If the formal aspects of the application are in order, the design is registered, regardless of the outcome of any voluntary substantive examination. According to the Norwegian legislation, information about the industrial design disclosed by author or any person receiving information directly or indirectly from the author does not disprove the novelty of the industrial design if the application is filed within 12 months from disclosure of the information. The industrial design in Norway is valid for five years from the date of filing. This term is extendable for five years increments up to a total of 25 years. The official issuance fee is not stipulated. A maintenance fee for a second 5-year term of a design registration validity must be paid before the expiration of a current 5-years term, however not earlier than one year before its expiration. For renewal of a design registration after the expiration of this term an extra fee is payable within six months. It is recommended for foreigners to accomplish industrial design prosecution in Norway through an agent, a registered Norwegian patent attorney. - interior design, for example, the interior design of a café or shop. Technical solutions are not protected by design patent in Norway. Online Search Databases: Norwegian Industrial Designs, International Designs.